A heartfelt thank you to our wonderful Nantucket Community for helping to make our Gala 2018 such a success! We had a wonderful evening and are so grateful for all of the support. Thank you for joining hands with us to help make a difference in providing therapeutic recreation for Nantucket children with special needs. We couldn’t do it without you! I know it’s spring when we hang up our skates at S.T.A.R. and bring out our bathing suits. You won’t find us in the ocean yet, but we are happily back in the Nantucket Community Pool ! We also began our second season of tennis at the NES gym through the help of the Nantucket Community School. We are always so thankful for our community partners that join us in providing therapeutic recreation for our S.T.A.R. families. Nantucket S.T.A.R. is celebrating 15 years of “ Joining Hands To Make A Difference” and are excited to be starting off the season with our annual fundraiser at The Chicken Box, Saturday, May 5th 7-10pm. This is a fun event that helps to support not only our programming but all the costs associated with running a non-profit. You may purchase tickets on our website for $25 (See PayPal button below) or purchase tickets at the door for $30 the night of the event. Thank you for a wonderful 2017 and here’s to an exciting 2018! Thank you for all you do for Nantucket S.T.A.R. and to our families- thank you for sharing your amazing children with us! I love the holiday season and in particular all things Thanksgiving. Several years ago we started a tradition in our home of posting a large sheet of paper on one of our inside doors and beginning November 1st, we each take a moment (most days) to write what we are thankful for. The list really varies each year but I enjoy reading what my family writes. Nantucket S.T.A.R. has had a wonderful year and we will be celebrating our 15th anniversary in 2018. We have titled our 15th year of celebration “We’re Going Places”. One of our students, Ian Cutone, has taken on the task of helping to fundraise over this next year for S.T.A.R. to raise money for one of his dreams, a 12 passenger van. 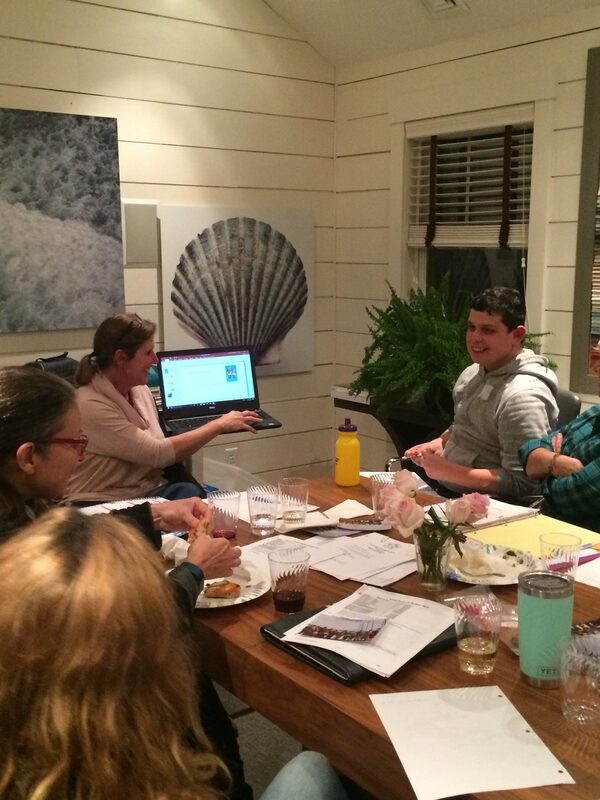 At our November board meeting Ian shared his power point presentation of why S.T.A.R. needs a van. It was most impressive! So- be on the look out for our annual appeal which has a special van request featuring Ian! In honor of 15 years of S.T.A.R. and Thanksgiving, here are my 15 reasons of why I am so thankful for Nantucket S.T.A.R.. The amazing children and teens we have the privilege of working with. They bring all of us incredible joy! Our S.T.A.R. families, for believing in us and for trusting us with their children. Our talented staff and volunteers. Their passion and dedication is what makes S.T.A.R. shine. Our Board of Directors who support and work tirelessly at helping Nantucket S.T.A.R. be its best self. Our grant donors, Boston Bruins Foundation, Community Foundation for Nantucket, Nantucket Golf Club, James and Amy Bennet Foundation and ReMain Fund. Our business sponsors- check out our website, what a generous crew they are. All of our donors, who are to numerous to write all here. Thank you Nantucket! Sophie T’s pizza who keep us supplied with pizza for our respite events. Our new office computer thanks to a generous donation from Nantucket Energy. Poets Corner Press for storing all of our equipment. A huge thank you to all of our high school volunteers. They are an amazing bunch. Thank you to Kathi Hackett of MVCS, for her support and passion for the children and families on Nantucket. Our beautiful S.T.A.R. office at 130 Old South Road. Last, but not least, thank you to my wild Steadman crew. Thank you for always being willing to lend a hand and for loving all things S.T.A.R. I have been slow to shift gears this year- summer seemed to come a bit late and I am not ready for the next season. We had a wonderful time in the water this summer and so much fun was had. We were able to get a respite in for families and take out a group of our older students for some adventures with their peers. It was pretty awesome! Our 2017 summer programming is in full swing. It has been wonderful to be back in the pool and the ocean. We have enjoyed reacquainting with all our summer friends! I don’t know who is more excited about being back in the water, our staff or students. 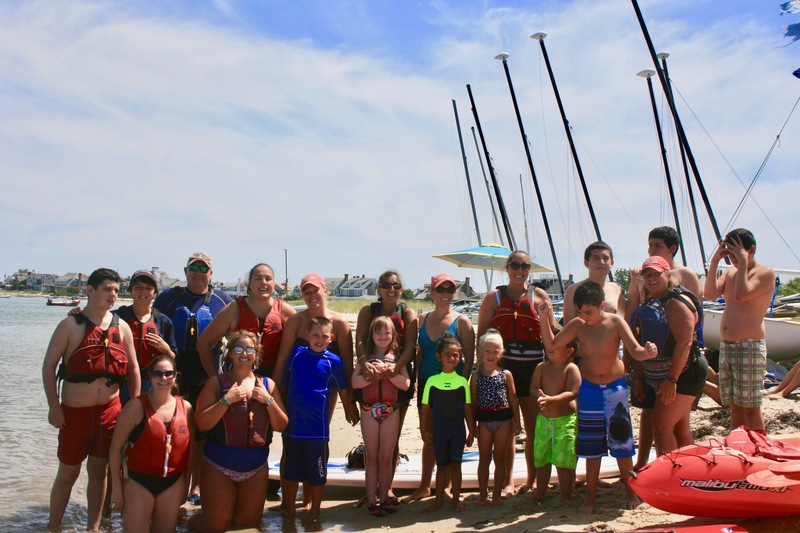 This week kicks off our “Ocean Adventures” with Nantucket Community Sailing- this partnership of five years has been a win-win for both of our programs. 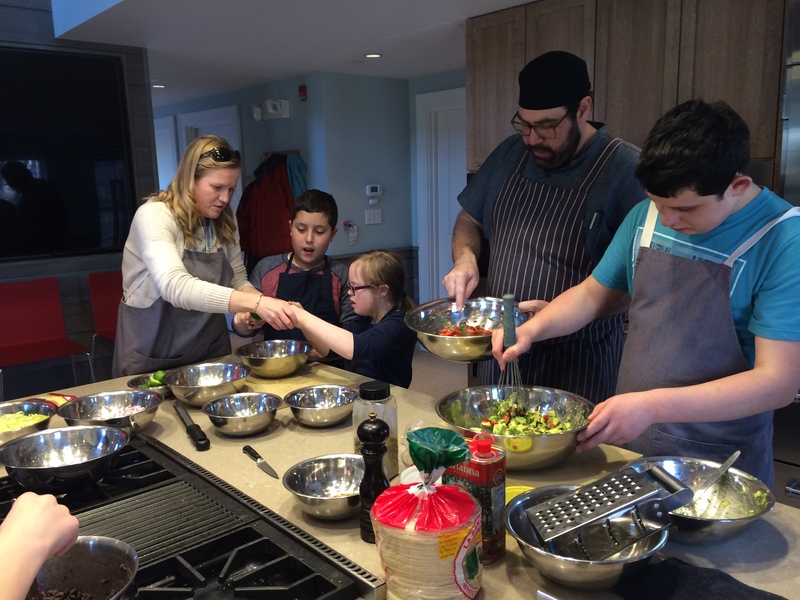 We are able to combine our resources and our particular strengths that in turn enables us to offer a fun program down at Jetties Beach. 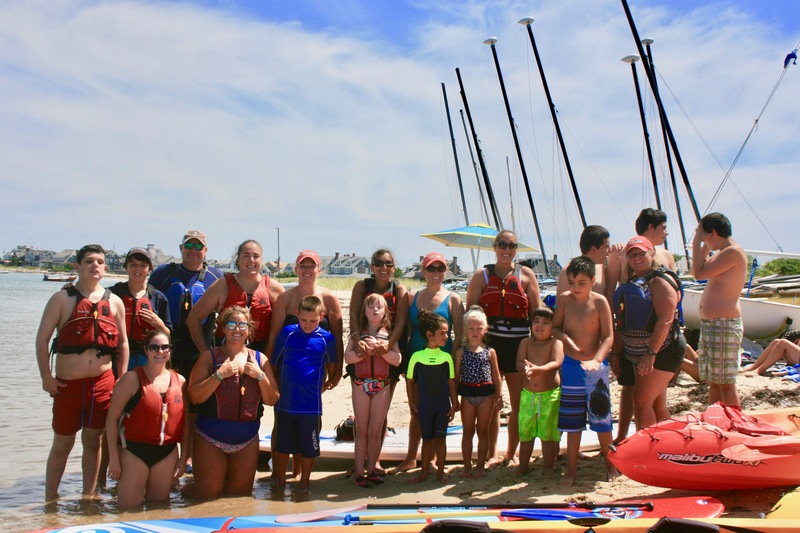 What I love about this program is that it provides access to one of Nantucket’s greatest resources, the waterfront, and creates a life long love for water adventures. If you are in the area please come say hi on Friday afternoons in July. The Nantucket Fund (The Community Foundation for Nantucket) for a grant that supports our Sensory Art and Cross Fit programs. We are so thankful for these foundations and their support. Nantucket S.T.A.R. is in full gear for our upcoming summer programing! 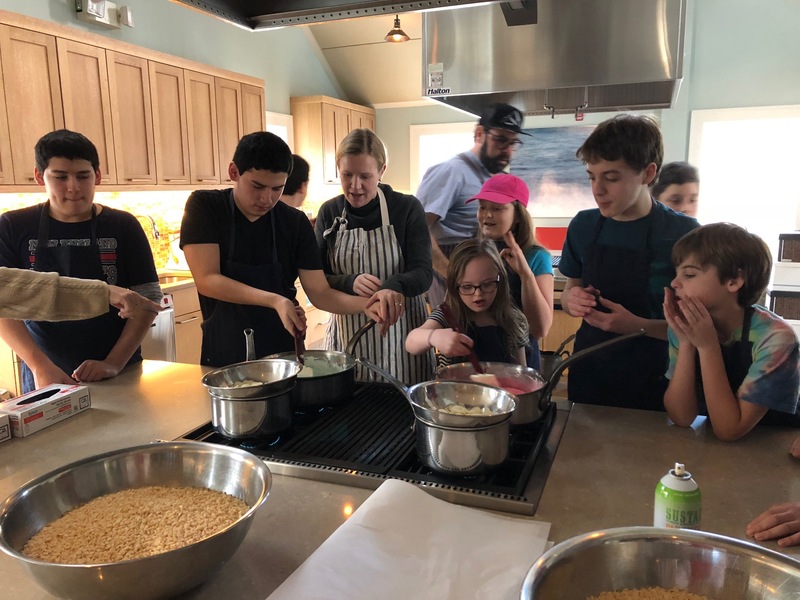 Our summer program sign ups will go live, Thursday, May 18th in the afternoon.We have all of our usual programs on tap along with some respite activities. We are also planning a few “outings” for our teens over the summer- stay tuned. All of us at Nantucket S.T.A.R. want to thank our Nantucket community for its tremendous support and generosity at this year’s Gala. The evening was a success and we were touched by the turnout. The Gala not only serves as a fundraiser but as a powerful reminder of all that our students have accomplished. It inspires us to think “big” as we move forward into 2017. A huge thanks to the following businesses and families that are our 2017 sponsors! Summer is around the corner and we are gearing up for another fun filled season. We just finished a fantastic pilot tennis program and want to thank Mike and the Nantucket Community School for helping to make it happen. We have a few more weeks left in our “Learn to Swim” classes and I am already impressed with the achievements happening in the pool! Our summer programming will go live for sign ups the week of May 15th- so be on the look out via email and our website. I know that there have been some glitches reported in our email server via the website and I am hoping to have those all ironed out by then. Thank you for your patience. We are in the final throws of getting ready for Nantucket S.T.A.R.’s yearly gala. This is one of our biggest fundraisers of the year and are so appreciative of all the support from our wonderful Nantucket community. Please join us at The Chicken Box, Saturday, May 6th 7pm-10pm. We are celebrating Kentucky Derby style alongside The Savage Brothers, silent and chinese auctions, Heads or Tails game of chance to win a 70″ flat screen T.V., and this year our signature cocktail will be a delicious Mint Julep with some delicious treats. Tickets can be purchased at the door for $30. We are looking forward to seeing all of you! We are gearing up for our annual Nantucket STAR Gala at the Chicken Box, Saturday, May 6th. We are planning a Derby theme event and are happy to have The Savage Brothers playing at the event. Nantucket S.T.A.R. is also happy to welcome our new board members, Terri Dion, Ann Poyant, and Lauren Murray. We are fortunate and thrilled to have these three woman join the S.T.A.R. board of directors. All three woman have volunteered and worked as staff members for STAR in recent years and bring a wealth of knowledge and big hearts to our programming. Look for their bio’s in our spring newsletter.